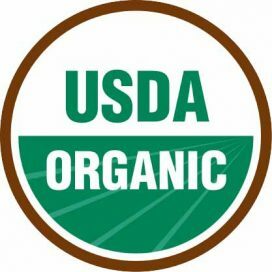 What Is Organic Honey Certification? The queen honey bees can be replaced whenever required. A healthy queen should be selected for a replacement to ensure preventative disease management. Sometimes, artificial insemination is also permitted. Cutting of the wings of the queen honey bee is not permitted. Stress should be put on using preventative methods of disease control, such as selectinghealthy queen honey bees and replacement bees. Furthermore, antibiotics cannot be used for treating diseases. Whenever antibiotics are used, the apiary should be isolated and kept out of organic honey production for at least a year. A live brood cannot be used for extracting honey from a brood comb. The surfaces that come in contact with the honey should be made of a food-grade material or should be coated with beeswax. It should not be heated above 35 degrees Celsius. Gravitational settling and filtration should be used for removing extraneous solids. Every apiary should be properly managed and records of the apiary should be maintained. One should be able to trace the honey stored in an organic honey jar to the apiary it has been obtained from. An increasing number of farmers all over the world are shifting to organic farming since it provides numerous benefits over conventional farming. Honeybee keepers are also favoring organic honey production, as it is considered to have numerous benefits over conventional honey. Increased Price of Honey: Organic honey and organic raw honey both fetch a higher price in the market as compared to conventional honey. Increased Marketability: It is easier to sell organic honey and raw organic honey, as they are considered to have greater health benefits over non-organic honey. Reports of increased usage of antibiotics in Chinese honey have increased awareness about the potential ill effects of non-organic honey among health-conscious consumers. Quality Honey Assurance for Buyers: Customers are assured of a quality product as the production and handling standards for organic honey are clearly defined by the certifying body. If the honey is not manufactured according to the set guidelines, then the organic label is not granted. Satisfaction of Producing a Clean Product: Many farmers shift to organic farming due to its benefits to the environment. The same is the case with organic apiculture. Organic honeybee keepers feel content at the end of the day when they do not use chemical pesticides and antibiotics. Every Organic Honey Jar Can be Traced: Certified organic honey involves proper labeling of the product. Every organic honey jar can be traced to the honey bee hive from which the honey in it is obtained. Increased Management Awareness of the Enterprise: Many conventional honeybee keepers are not aware of effective techniques to manage their apiaries. Since certified organic honey production involves following stringent guidelines, manufacturers are also educated about the efficient management of their enterprise. Availability of Suitable Apiary Sites: It is difficult to get suitable apiary sites that favor the organic honey standards in all seasons. Limitation on Disease Management Practices: Organic honey does not involve the wide usage of antibiotics. Therefore, disease management is restricted. Limitation on Feeding Management Practices: An organic honeybee keeper has to ensure that there are no non-organic farms in the vicinity of his honey bee hives. Furthermore, there are other restrictions on the feeding practices. Transition Cost and Time: A conventional honeybee keeper cannot shift to organic honey production all of a sudden. As in the case of organic milk production, there is a transition time and cost involved in shifting to this type of production as well. There is also a one-year probationary period in some countries, such as Australia, before becoming a certified organic honey manufacturer. Other Costs: The production also involves other costs such as the cost of joining the certifying body, the cost of certification, auditing cost, sampling cost, etc. Increased Record-Keeping: Organic honey involves keeping detailed records throughout the manufacturing, processing, and retailing processes.